During the eleventh century, Anatolia came increasingly under Turkish rule. The city of Trebizond (modern Trabzon in the North East of Turkey) and its environs became a Byzantine exclave. Because of its removal from the bulk of the Empire, Trebizond had a somewhat rebellious and separatist nature. 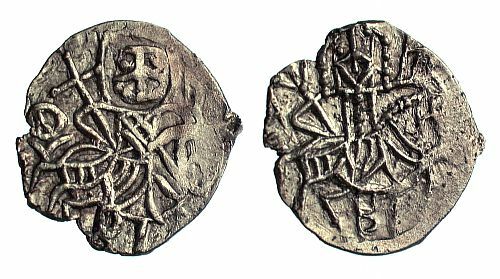 Initially dominated by the Gabras family, Trebizond began striking its own coins at the end of the eleventh century. This was despite being theoretically still part of the Byzantine Empire. 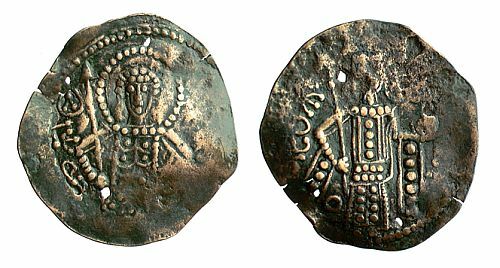 The image and name of the emperor at Constantinople were usually omitted from these early Trapezuntine coins. All of these issues were of base metal and often polygonal in shape. Following the capture of Constantinople by the Fourth Crusade in 1204, however, a branch of the Komnenian dynasty ruled the successor state known as the Empire of Trebizond (though the word ’empire’ may be an exaggeration). 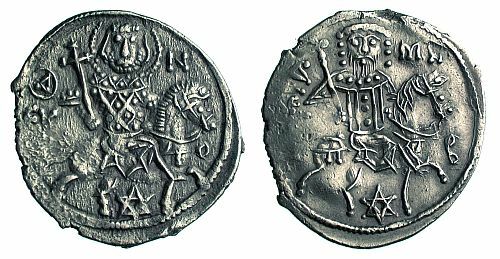 Coin production at Trebizond apparently paused after the beginning of the twelfth century but did not restart until the 1220s. 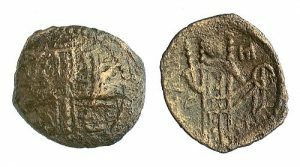 The first named Trapezuntine Emperor on their coins was Andronikos I Komnenos-Gidon (1222-1235). 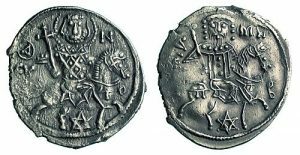 Unlike at the other capitals, the mint of Trebizond produced only silver and base metal coins. Trapezuntine coins are Late Byzantine in design (for more about which see here). They show the ruler standing, facing, wearing a loros and crown with pendilia, holding an akakia (a pouch of dust to which all men return) in the left hand and staff in the right, and being blessed by the manus dei (hand of God). 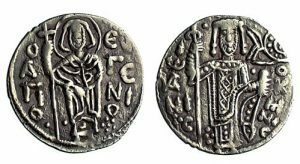 On the obverse, however, is a figure unfamiliar to Byzantine coins: Saint Eugenios. 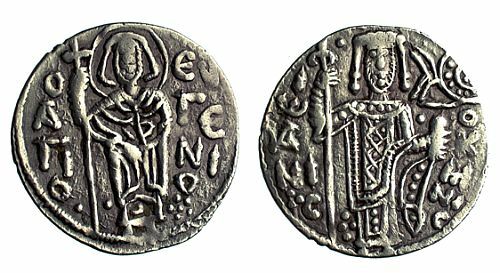 Saint Eugenios was the patron saint of Trebizond, so his appearance makes the coins unmistakably Trapezuntine. Saints are commonplace on Late Byzantine coins, however, so Eugenios’ appearance fits the pattern. While most of the Barber’s Byzantine coins derive principally from the collection of Philip Whitting, half of the Barber’s coins of Trebizond come through the donations of Professor Anthony Bryer. Bryer was a prominent scholar of the Byzantine Black Sea region and the founder of the University of Birmingham’s Centre for Byzantine, Ottoman and Modern Greek Studies. Bryer was also a significant individual in the donation of the main coin collection to the Barber. 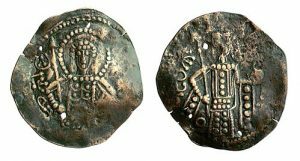 It is from him that the Barber has obtained the majority of the lead seals collection, housed with the coins, which is almost exclusively Byzantine and largely Trapezuntine (for more on the seals collection, see here).